Hearing perspectives and experiences from world-renowned chefs, including: World’s Best Female Chef Dominique Crenn, Emmy Award Winning TV Host Lidia Bastianich, Two Michelin Star Chef April Bloomfield, One of Time Magazine’s Most Influential People Barbara Lynch, First Female Iron Chef Cat Cora, World’s Best Chef Daniel Humm and many more..
Joanna’s directorial debut with A Fine Line, which she has produced and edited, has led to her passion of filmmaking and sharing people’s stories. Joanna is the founder and CEO of Zoel Productions, an independent film, television and multimedia production company out of New York. Based on Joanna’s experience making this film, combined with years of research and interviews, she developed the MAPP Impact Campaign to increase women in leadership (you can learn more about MAPP on this link). Prior to filmmaking Joanna was awarded best environmental reporting by the New England Press Association for an investigative piece she wrote. She interned for the Boston Globe’s National Foreign Desk, and was later chosen to cover the 2004 Summer Olympic Games in Athens for a Greek American newspaper. Katy Jordan is a producer, cinematographer, writer and editor living in Boston. She primarily works in media and documentary film. 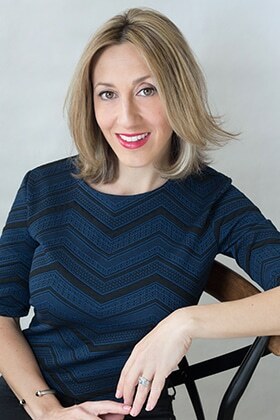 A former print reporter for the Boston Herald, she is an award-winning multimedia journalist whose stories have ranged from crime to lifestyle. She has covered local and national political races, including the 2012 presidential campaign. 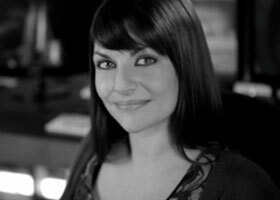 Her work has been featured on national media, including the Christian Science Monitor, Huffington Post and Storyhunter. Russell Greene is a film editor and director based in Brooklyn, NY. 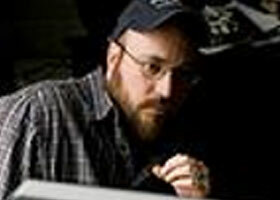 From 2004 to 2012, he was editing partner with veteran documentary film editor, Angelo Corraro. Russell has edited eight feature films, including an Oscar nomination, as well as numerous short films, commercials, web series and branded content films. He also edited all 60 episodes of the acclaimed web series MADE HERE about New York performing art and artists. 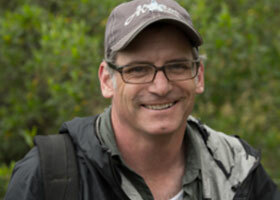 Rob Featherstone has served as director of photography on several award-winning films and shows for the Discovery and History networks. Brotherhood, a portrait of the FDNY, and Seamless were both official selections of the Tribeca Film Festival. Rob photographed vignettes for The Devil in Daniel Johnston, which won the directing award at Sundance. Recently both Requiem for the American Dream and Indian Point premiered at the Tribeca Film Festival. He has also shot commercials for Target, Macy’s, Garnier. Petros is an acclaimed musician who just released his third album, Chroma to rave reviews. As the film’s lead composer, he brings his talent and vast experience to provide an eclectic score steeped in jazz. To achieve such a striking score that resonates with the film, Klampanis gathered a group of master musicians, each adding their own distinctive tint to the composer’s panorama: guitarist Gilad Hekselman and pianist Shai Maestro (both originally from Israel), drummer John Hadfield (a native of Missouri), and Japanese-born percussionist Keita Ogawa make up the core group, which is joined by an accomplished eight-piece string ensemble. Petros grew up on the Greek island of Zakynthos, surrounded by the confluence of Mediterranean and Balkan folk music. He completed his formal studies at the Aaron Copland School of Music in New York, 2008. 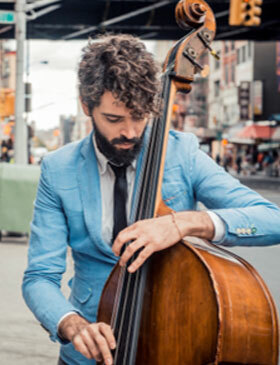 Since moving to New York City, Petros has performed alongside some of the city’s renowned jazz musicians, including saxophonist Greg Osby, pianist Jean-Michel Pilc, and drummer Ari Hoenig. He has performed at stried venues including: Carnegie Hall, Lincoln Center, Kennedy Center and the North Sea Jazz Festival and Palatia Jazz Festival. 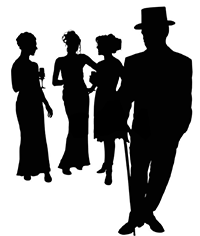 Jazz N Pop Co., is a New York City based collective of artist managers, curators and lifestyle bloggers, providing a wide range of services. Covering everything from music consulting & music booking for live events, to music supervision for film & tv projects. Jazz N Pop Co.,is very proud to be a part of this documentary and looks forward to sharing this very necessary message worldwide for years to come.